Production Supervisor, Hoffman Nursery, Inc. Most horticultural businesses in the U.S. employ people who were born outside the country. As our workforce becomes more diverse cultural and language differences continue to pose challenges. How do we ensure work is done correctly and efficiently while keeping our teams happy and our workplace enjoyable? Hoffman Nursery’s team includes people from five different countries who use seven different languages. Production Supervisor Kata Kreß Wallace is trained in education and language studies. Nevertheless, she faces miscommunication and confusion daily. Learn how Hoffman Nursery is addressing these challenges and get hands-on tips for communicating, managing, and motivating a diverse team. BIO: Kata Kreß Wallace earned a master’s degree from the University of Vienna and started her career teaching Spanish, geography and economics. She then discovered her true calling—following in her father’s footsteps to the nursery industry. 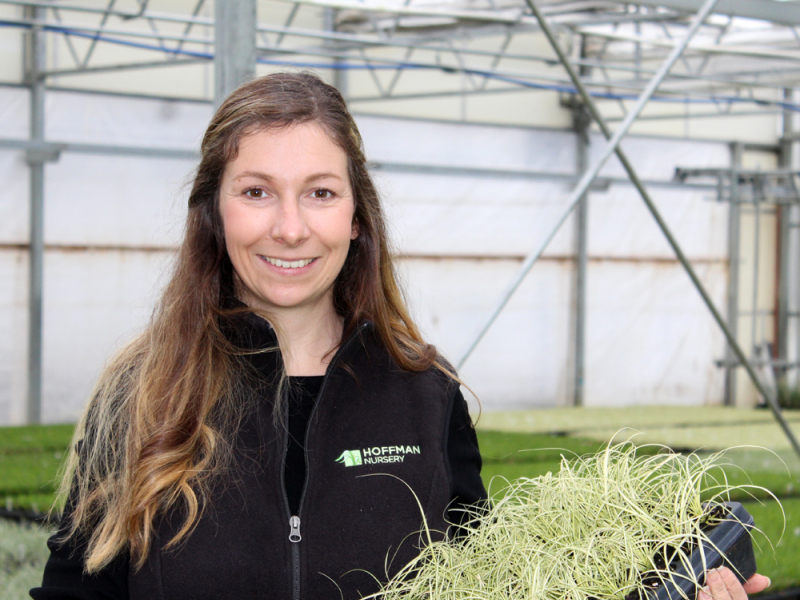 After six internships and a year as a trainee at Plant Delights Nursery, she took a garden coordinator position at Hoffman Nursery in North Carolina. A year later she moved on to oversee the production team as Production Supervisor. With her teaching background, Kata emphasizes educating and empowering her crew. She’s passionate about herbaceous perennials and loves networking with people, especially plant nerds! Reserve your room for the IPPS-SR Annual Meeting in Baton Rouge, LA now!